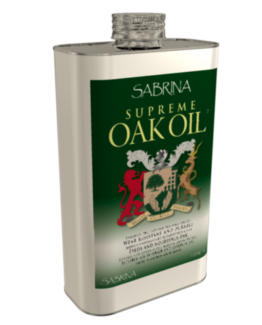 Developed over many years specifically for oak, Sabrina Supreme Wood Stain© beautifies and enhances the natural texture and grain of all your oak surfaces, and works well with other timbers too. This is not a colourant, protectant or varnish. 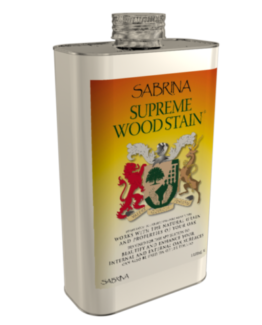 Sabrina Supreme Wood Stain is a dedicated oil-based stain which is absorbed fully and becomes a part of the wood. 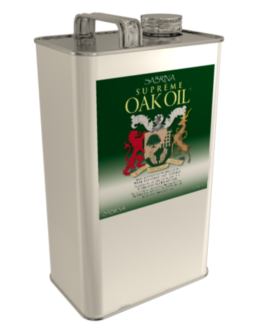 Suitable for interior and exterior use; doors, stairs, flooring, worktops and most wood surfaces. It is advisable to initially use an inconspicuous area as a test patch prior to application. All sensible precautions should be taken. Ensure all surfaces are clean, dry and free from any previous finish. For BARE WOOD, rub down with a fine grade sanding paper and remove any dust carefully. 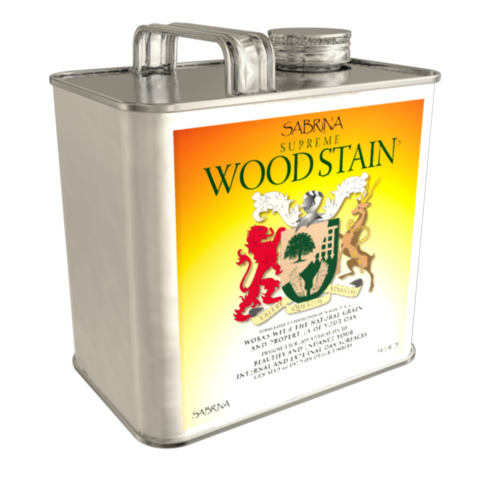 For FINISHED WOOD, remove existing varnish, clean with white spirit and sand to a uniform appearance. Always sand in the direction of the grain. 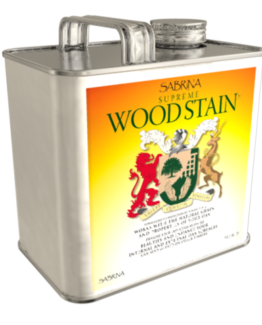 Sabrina Supreme Wood Stain must be applied to clean, dry wood only. 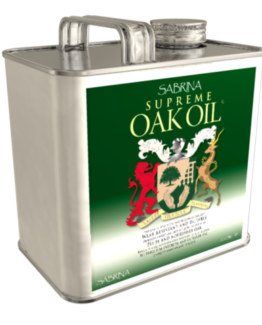 Shake contents thoroughly before and during use, and apply in a warm, well ventilated room. 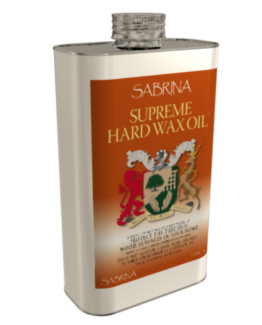 Apply thinly using a good quality bristle or synthetic brush and lay evenly, following the direction of the grain. Remove excess immediately with a clean, dry cloth. 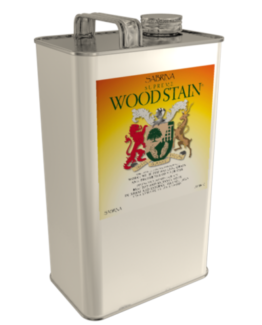 Allow the stain to thoroughly absorb into the wood and dry (6-8 hours at room temperature). Further coats may be applied to deepen and richen the colour. Coverage: 16m2 per-litre.